Emily was born in Blackheath, Kent on 11th October 1872. 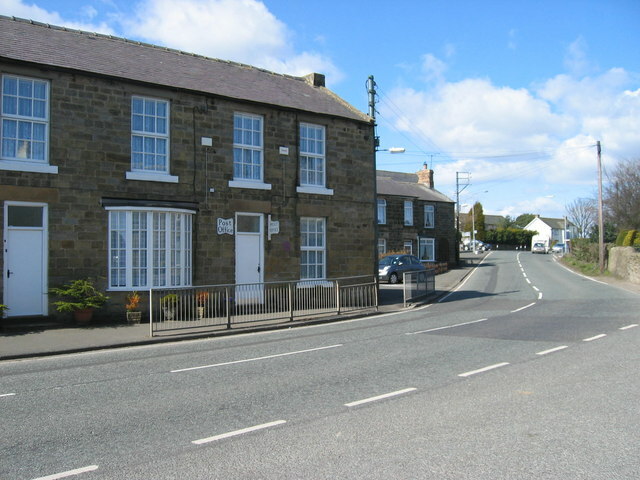 Her family were from Northumberland, her father Charles Davison from Morpeth, and mother Margaret Davison from Longhorsley - where Emily lived. 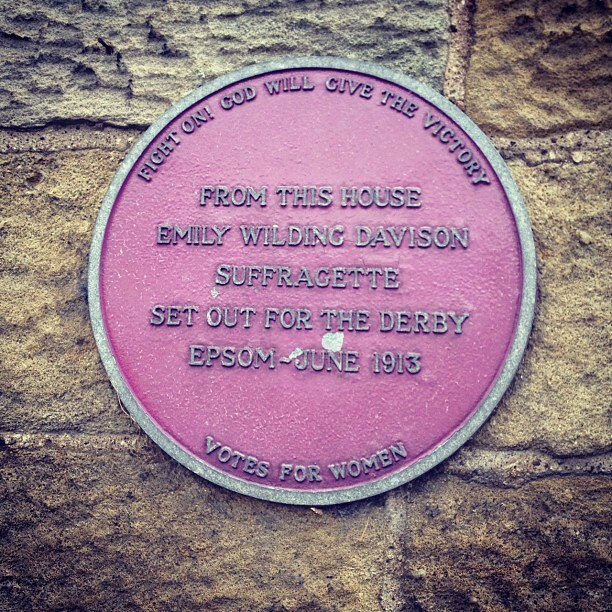 There is a plaque on the wall of the house in Longhorseley from which Emily left before going to the Epson Derby. Following her death her coffin was brought by train to Morpeth for burial in a family plot at the churchyard of St. Mary the Virgin on 15th June 1913. Her gravestone has the inscription "Deeds not words" (a WSPU slogan). 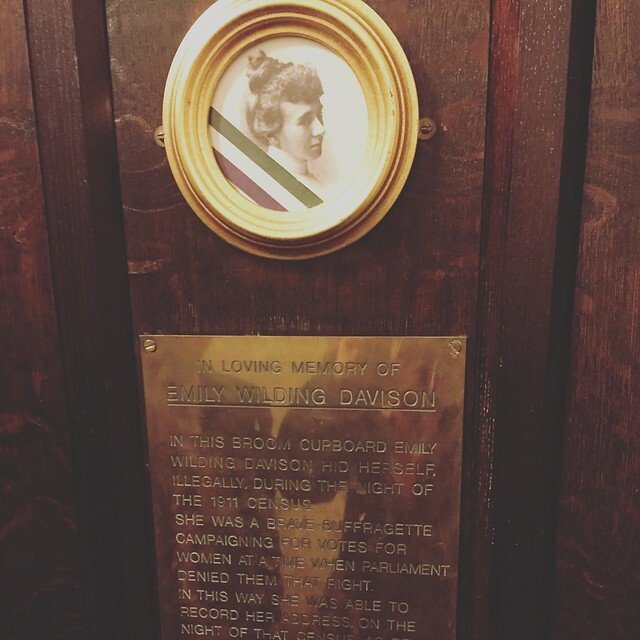 Emily Wilding Davison (11 October 1872 – 8 June 1913) was a militant suffragette who fought for women's suffrage in Britain. She was jailed on nine occasions and force-fed 101 times. She stepped in front of King George V's horse Anmer at the Epsom Derby on 4 June 1913, suffering fatal injuries. Her funeral on 14 June 1913 was organised by the Women's Social and Political Union (WSPU). Thousands of suffragettes accompanied the coffin and tens of thousands of people lined the streets of London. After a service in Bloomsbury, her coffin was taken by train to the family grave in Morpeth, Northumberland. Modern historians agree that Davison was trying to disturb the Derby to draw attention to her cause, rather than to commit suicide, and 2013 analysis of newsreel has supported the idea that Davison was reaching up to attach a scarf to the bridle of the King's horse. Analysis of newsreel also indicated that her position before she stepped out onto the track would have given her a clear view of the oncoming race, further countering the belief that she ran out in a haphazard way to kill herself. Davison was born in Blackheath, Kent, the daughter of Charles Davison (of Morpeth, Northumberland) and Margaret Davison (of Longhorsley, Northumberland). She had two sisters and a brother; also various half-siblings from her father's first marriage including a half-brother, retired naval captain Henry Jocelyn Davison, who gave evidence at her inquest. She later attended Kensington Prep School and won a bursary to Royal Holloway College in 1891 to study literature and modern foreign languages. However, she was forced to drop out in January 1892 because her father died and her mother could not afford the fees of £30 a term. She then became a private governess before becoming a teacher in Edgbaston and Worthing, raising enough money to study Biology, Chemistry, English Language and Literature at St Hugh's College, Oxford. She obtained first-class honours in her final exams, though women were not at that time admitted to degrees at Oxford. Davison then began teaching the daughters of the Moorhouse family in Spratton, Northamptonshire. 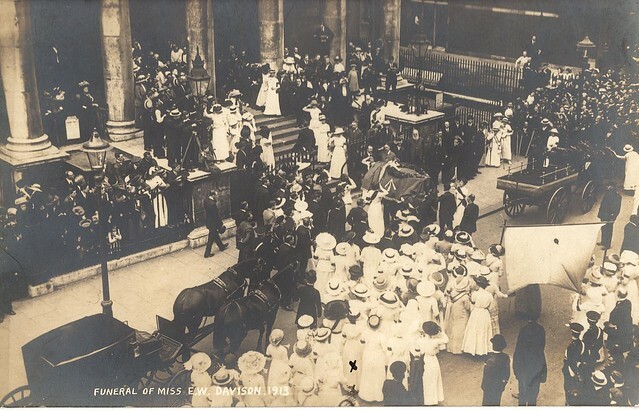 In 1906, Davison joined the Women's Social and Political Union (WSPU). Formed in 1903 by Emmeline Pankhurst, the WSPU brought together those who felt strongly that militant, confrontational tactics were needed to achieve women's suffrage. In 1908, Davison left her teaching post to dedicate herself completely to the movement. In the same year she entered the University of London examinations as an external candidate for a degree in Modern Foreign Languages. She gained a reputation as a militant and violent campaigner. On her own initiative and without the approval of the WSPU, her actions developed from disrupting meetings to stone throwing and arson. She was arrested and imprisoned for various offences nine times, including a violent attack on a man she mistook for the Chancellor of the Exchequer, David Lloyd George. During many of these prison terms she went on hunger strike and was force-fed. On 2 April 1911, the night of the 1911 census, Davison hid in a cupboard in St Mary Undercroft, the chapel of the Palace of Westminster, overnight so that on the census form she could legitimately give her place of residence that night as the "House of Commons". 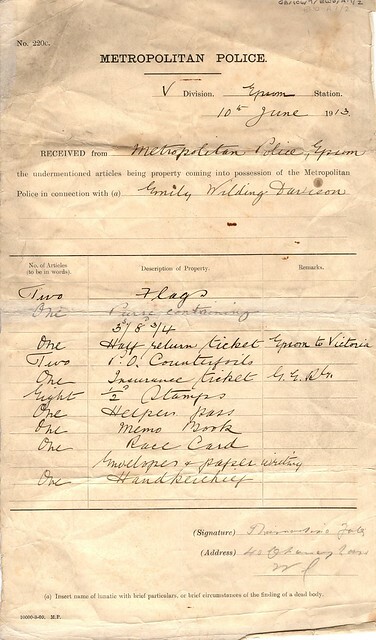 Census documents from the year 1911 state that Emily Wilding Davison was found "hiding in the crypt" in the Houses of Parliament. In 1999 a plaque to commemorate the event was set in place by Tony Benn MP. In June 1912, near the end of a six-month sentence in Holloway Prison for arson, when Davison and dozens of fellow suffragettes were being subjected to force-feeding, she threw herself down a 10-metre iron staircase. Her intention, as she wrote afterwards, was to stop the suffering of everyone else by carrying out this action. As a result she suffered severe head and spinal damage, causing discomfort for the remaining twelve months of her life. 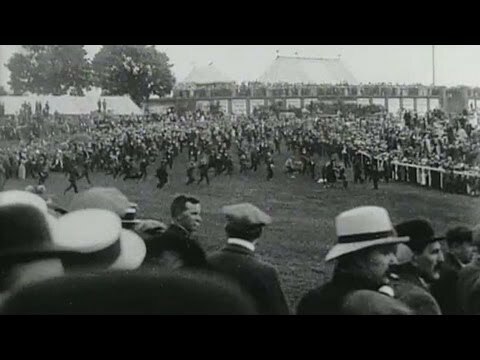 On 4 June 1913, Davison attended the Epsom Derby. St John Ervine was standing beside her and noted that she seemed rather agitated. As the race was underway, Davison ducked under the railing and moved onto the track. Some say Davison tried to grab the bridle of the horse owned by King George V, Anmer. Film of the event shows that Davison had something in her hand, leading to suggestions that she was carrying a suffragette flag or poster, and a Channel 4 film presented by Clare Balding gave credence to the idea that this might have been a folded silk scarf bearing suffragette slogans. The horse collided with her (possibly as it tried to jump over her to avoid a collision) and she fell to the ground, where she was trampled by its hooves, as it, too, fell. Meanwhile, the jockey, Herbert Jones, was thrown, but had his foot caught in the stirrup. The horse did a somersault, got up, and resumed running the race, dragging the unconscious Jones before his foot came loose. Bystanders unsuccessfully attempted to revive both Davison and Jones, before they were carried off by ambulances. Jones survived, but Davison did not. Davison's purpose in attending the Derby is not clear. 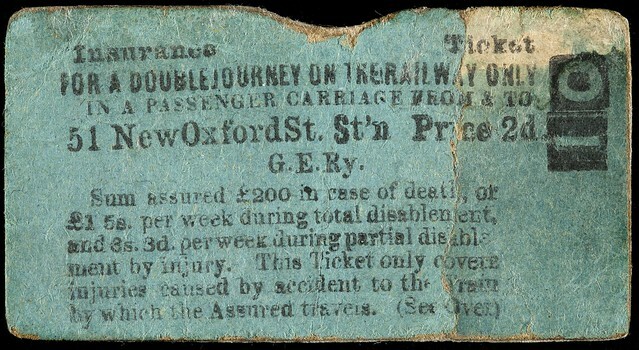 Her purchase of a return rail ticket and a ticket to a suffragette dance later that day, both of which are now in the collection of the Women's Library in London, suggest that martyrdom was not her intention. 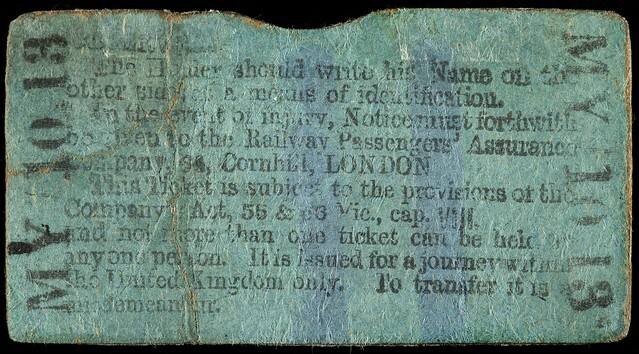 Later research has indicated that returns were the only type of rail ticket available for purchase, it is noted that she carefully kept the return half in her purse. 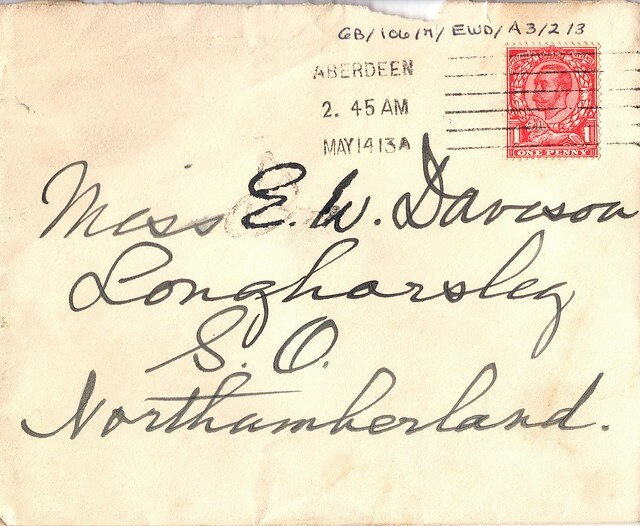 Further evidence is a postcard she wrote to her sister Laetitia, who lived in France and to whom she was very close, which suggests she was going on holiday a few days after the Derby to visit her sister and her niece. 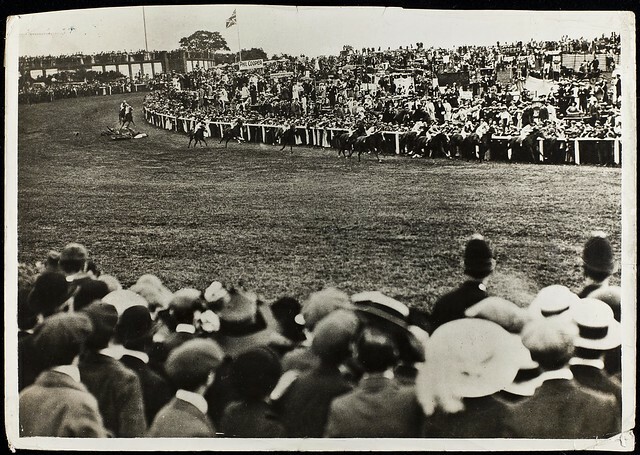 It is a possibility that Davison entered the race track with the aim of attaching something bearing a message or slogan to Anmer, so that when the horse crossed the finishing line, it would be flying the WSPU flag. According to police reports, two flags were found in her possession. Pathé News captured the incident on film. Film, taken at Tattenham Corner, shows Davison stepping out onto the racecourse just as the leading horses swept by. She was then seen standing in the middle of the racecourse as two more horses passed on the inside of her, and was then knocked to the ground by one of the last few trailing horses, the King's horse, Anmer. The film is unclear, but it is possible that by this point she had taken the banner of the WSPU out from where it was concealed in her clothing, with the intention of attaching it to the horse. Eyewitnesses at the time were divided as to her motivation, with many feeling that she had simply intended to cross the track, believing that all horses had passed. Others reported that she had attempted to pull down the King's horse. It is sometimes suggested that a few weeks beforehand Davison and other suffragettes were "practising" grabbing horses in the park near her mother's house in Morpeth and that they drew straws to decide who should be the one to go to Epsom. Horse racing historian Michael Tanner, in a 2011 TV interview at Epsom, argued that, as Davison was standing on the inside of the bend at Tattenham Corner amidst heaving crowds, and with no racetrack commentary as there is today, it would not have been possible to know whether the King's horse had already gone past. In addition, he said, considering the speeds the horses were going, it would not have been possible for her to identify any particular horse even if she had meant to. This would suggest that the fact it was the King's horse that she collided with was just a coincidence. Tanner later described the story of Davison "practising" with galloping horses and "drawing straws" as "folklore at best, pure hokum at worst," emphasising that "by 1913 Davison's modus operandi was acting alone – no one knew of her plans, in Morpeth or elsewhere." The 2013 Channel 4 film suggested Davison intended to throw a Votes for Women sash around the neck of the King's horse to gain publicity for her cause. A sash allegedly found at the scene immediately after the collision was purchased at auction by author Barbara Gorna, the closest losing bidder being the Jockey Club, and now hangs in the Houses of Parliament. This theory received support from a 2013 examination of the incident, in which forensic experts examined and correlated footage captured by three different newsreel cameras, and determined that Davison was much closer to the start of the bend than had been previously assumed, and might have had a much clearer view of the oncoming horses than previously thought. It concluded that Davison, who clearly carried something in her hand, could have been holding a folded Votes for Women sash as she ducked under the barrier, intended to attach it to the king's horse, and had no intention of deliberately throwing herself under the horse. 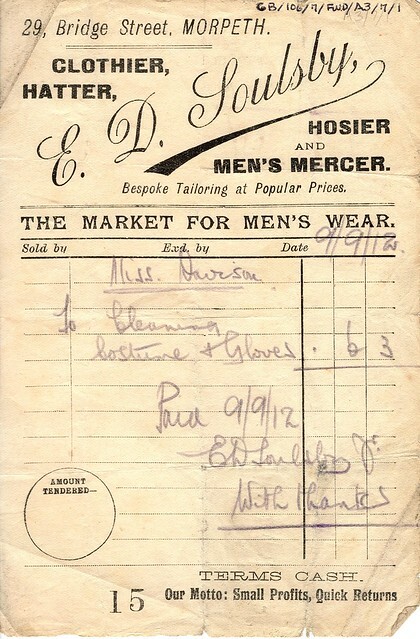 However, in his 2013 book The Suffragette Derby, Tanner examined the provenance of this "sash", which is in fact a scarf, and found this theory wanting: its original owner, Richard Pittway Burton, was not Epsom's Clerk of the Course, as claimed, but an East End docker with no racing connection whatsoever. Nor, Tanner argued, could the article in Davison's hand be safely identified as a scarf in the first place: he said the evidence had been skewed to suit this theory. In a letter to the Racing Post Tanner deplored the reiteration of "several myths" attached to Davison that he claimed to have debunked in his book, and expressed deep reservations about the film footage analysis, arguing that "from her position wedged tight against the rail, Davison would need to have been on a 20-foot ladder to have seen over the heads of the people to her right and then the leading bunch of nine horses to single out the figure of Anmer hidden behind... she was already ducking under the rail as the first horses passed and had missed two-thirds of the field altogether – which for all she knew may have included Anmer. It was pure chance that she stumbled upon Anmer." Davison died four days later in Epsom Cottage Hospital due to a fractured skull and internal injuries caused by the incident. Jones suffered a mild concussion. 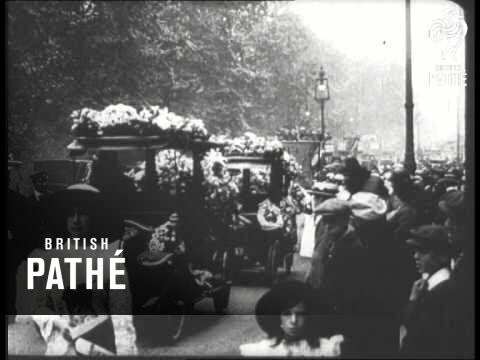 In 1928, at the funeral of Emmeline Pankhurst, Jones laid a wreath "to do honour to the memory of Mrs Pankhurst and Miss Emily Davison". 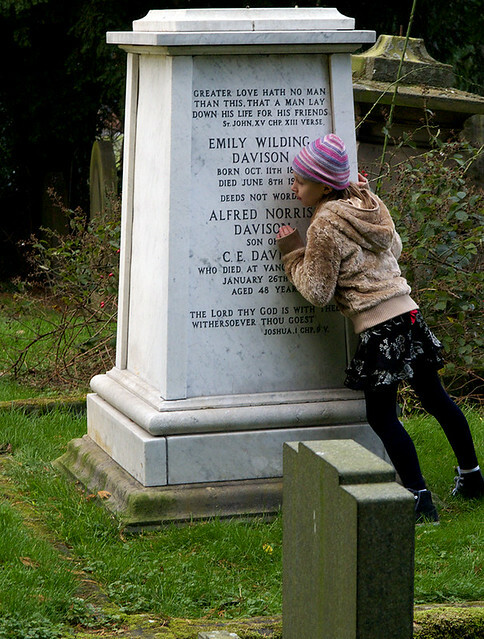 Davison is buried in the churchyard of St. Mary the Virgin, Morpeth, Northumberland, in a family plot where her father was buried in 1893. The cemetery is about 7 miles south of Longhorsley, where she had lived with her mother and family. A memorial service, which attracted a great crowd, was held at St. George's church in London on 14 June 1913. Her coffin was brought by train to Morpeth for burial on 15 June. Her gravestone bears the WSPU slogan, "Deeds not words." On 18 April 2013, a plaque was unveiled at Epsom racecourse to mark the centenary of the death. 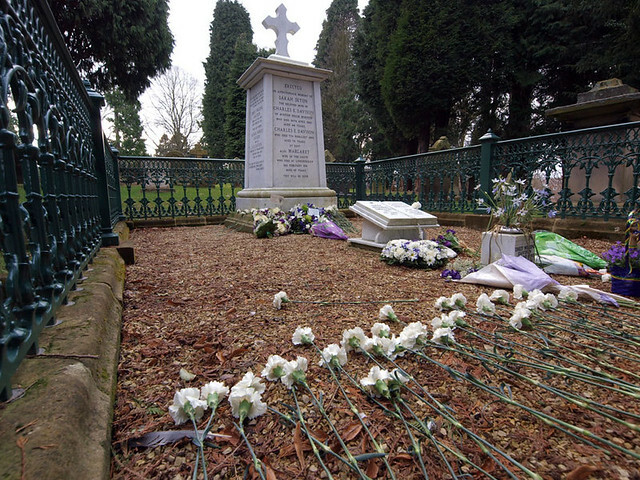 An Emily Wilding Davison Memorial Campaign was also established ahead of the centenary to campaign for a minute's silence at the 2013 Epsom Derby. However, the campaign failed after the racecourse said that this would be "logistically impossible". 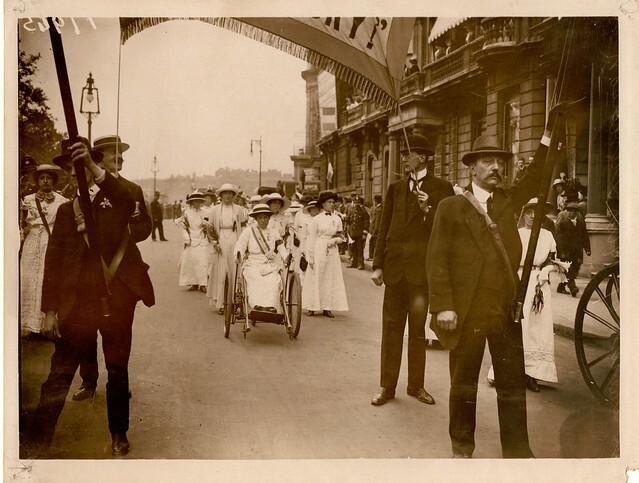 Like other acts of suffragette militancy, Davison's actions divided public opinion, some admiring her courage, others decrying the disruption of sport, the injury to jockey Herbert Jones, and the slight to the King. But the direct consequence was to galvanise male political support for suffrage, in the form of the Northern Men's Federation for Women's Suffrage. This initially took the form of a deputation to the Prime Minister Asquith; when this was rebuffed, it became a standing organisation. Its president was the former actress Maud Arncliffe-Sennett. It was mainly composed of town councillors, ministers, lawyers and similar civic figures from Glasgow and Edinburgh, and had little following beyond central Scotland, even in Davison's Northumberland. 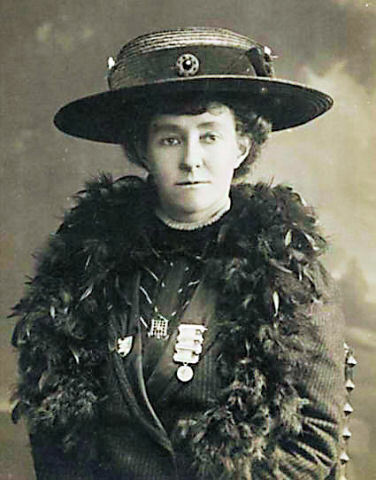 Beyond the Federation it is difficult to distinguish Davison's effect from that of the broader militant tradition in Britain, which continued until the political landscape was changed by the outbreak of World War I.
Emily Davison is the subject of an opera, Emily (2013), by the British composer Tim Benjamin. She is also the subject of a song by American rock singer Greg Kihn, whose elegy "Emily Davison" is included on his first album, 1976's Greg Kihn. Davison also appears as a supporting character in the 2015 film Suffragette, in which she is portrayed by Natalie Press. Her death forms the climax of the film. Text from Wikipedia, available under the Creative Commons Attribution-ShareAlike License (accessed: 24/04/2016). 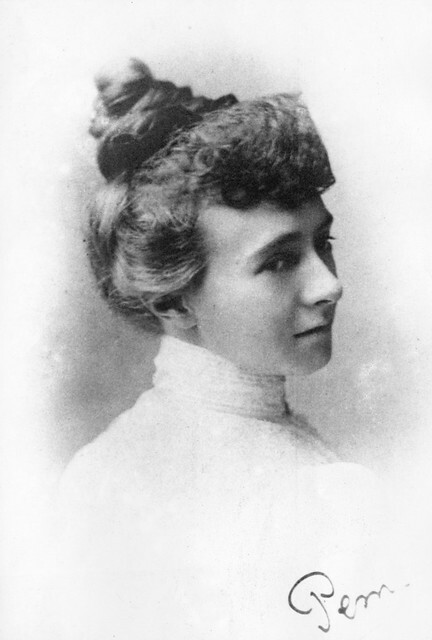 Visit the page: Emily Davison for references and further details. You can contribute to this article on Wikipedia. - "The front page of The Suffragette newspaper of 13th June 1913, which depicts Emily Davison as an angel" Public Domain image c/o Wikimedia Commons. - Entry in Mabel Henrietta Capper's scrapbook of hunger striking suffragettes, 1909. Public Domain image c/o Wikimedia Commons. - Public Domain image c/o Wikimedia Commons. - Public Domain image c/o Wikimedia Commons. The photo was printed in The Sketch, 11 June 1913. - Book: Elizabeth Crawford; The Women's Suffrage Movement: A Reference Guide 1866-1928, Routledge (2003). 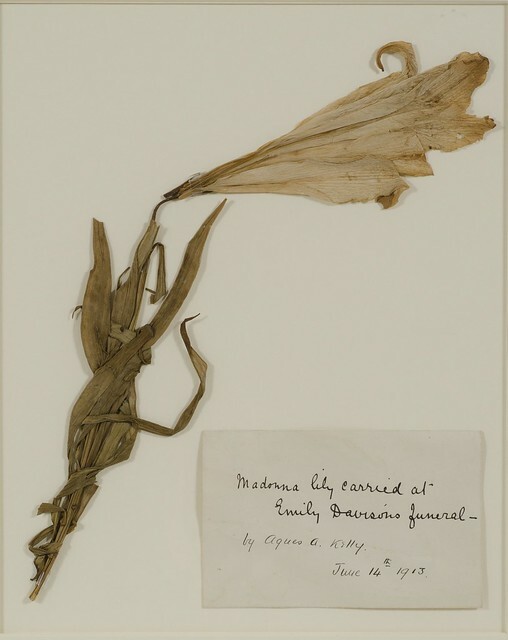 Madonna Lily, 14 Jun 1913. Emily Wilding Davison under the king's horse, 1913.